I recently bought the rule book Dux Bellorum, and it has fired up my interest in getting into gaming the early Dark Ages. I’ve never actually played that period, but I’ve always liked it better than the later Dark Ages (You know, Vikings, Normans and Saxons. And more Vikings!). One of the things I like about the rules is that the armies aren’t huge – Averaging about 10 units per side, with each unit occupying a single stand. This means you can get into it without a financially crippling initial investment. I could feasibly build all of the armies listed in the book before I’m old and grey. 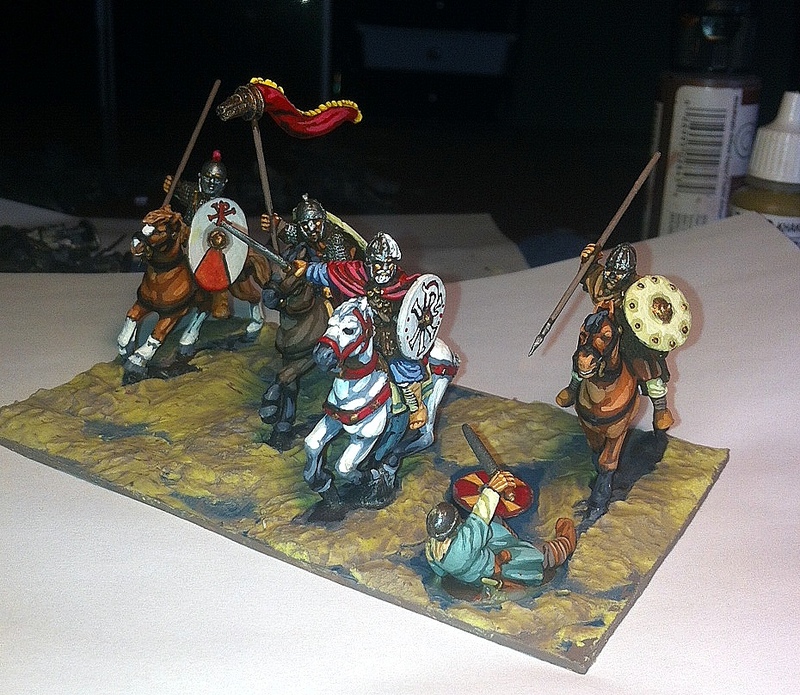 I decided to go with 120mm Impetus-style stands, even though the game can be played with smaller stands. I just like the look of it, and it will give me a chance to really purty ’em up. 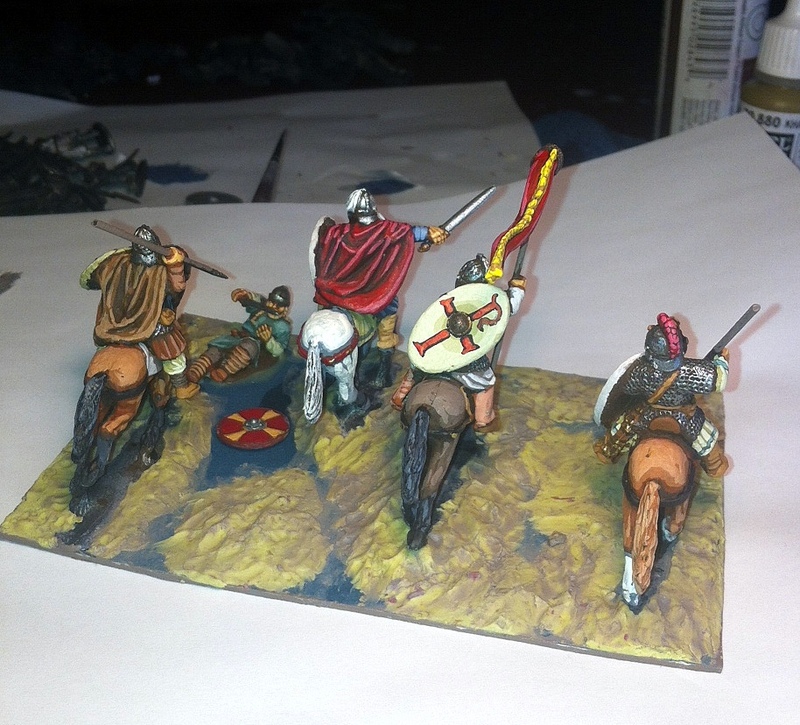 Here is my first unit, my Romano-British warlord and companions, King Arthur. As you can see, the groundwork is unfinished. These are all Gripping beast figures. I’ll post some more pictures as I go. That’s some mighty fine painting! Can’t wait to see the finished groundwork. Thanks! I’ll try to post the whole army as I build it.